Lead your team of Avengers against Iron Man’s in this Captain America: Civil War Adult Full Mask. The soft vinyl full mask provides coverage for the front, top, and back of the head. The blue mask is detailed with a silver “A” on the forehead of the mask, a brown chin strap, and eye cutouts. 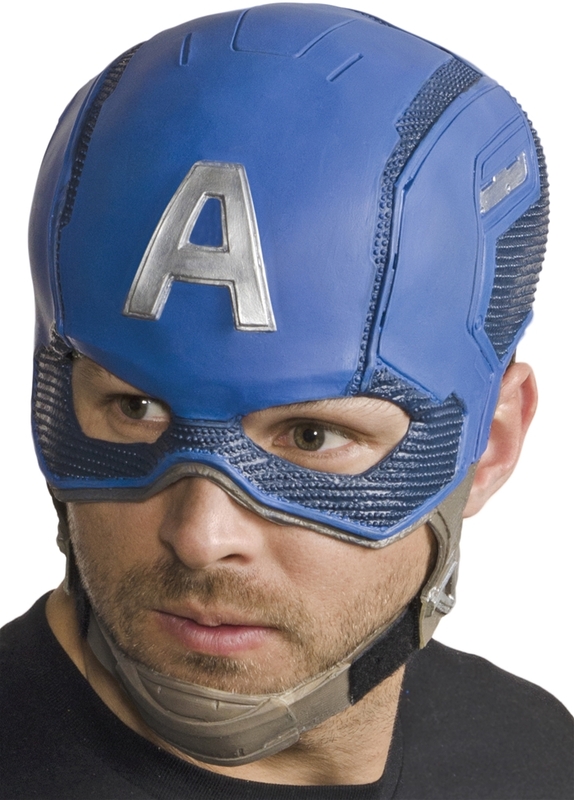 Accessorize your Halloween or Comic Con Captain America costume with this cosplay full mask.